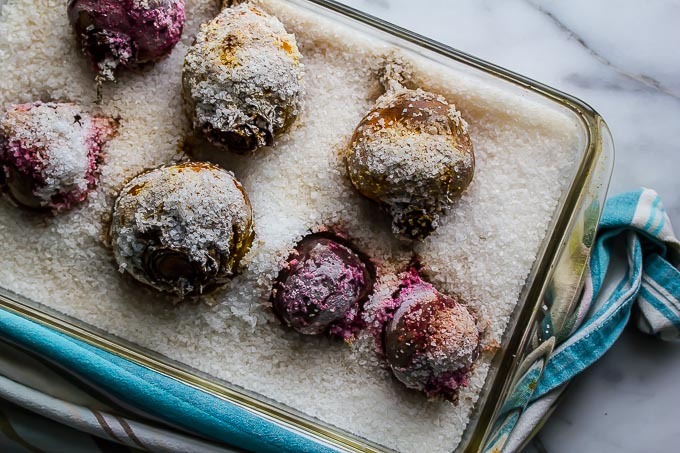 We salt roast beets at work every day, and I have to say I have wondered, is it worth it for the home cook? 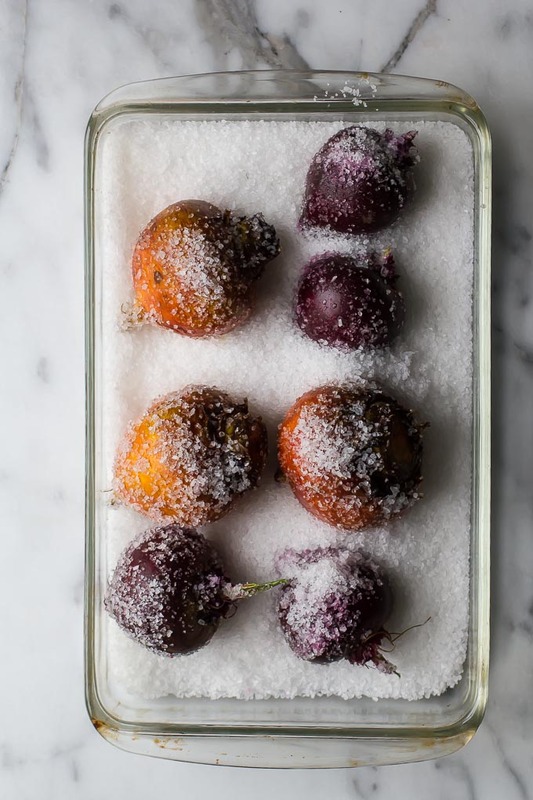 They end up getting peeled and blended up into a sauce, so I have often wanted to work with salt roasted beets as the star of the dish, to see if the difference was noticeable. So, I decided to make some for lunch this week to test it out! They actually did have a subtle perfect seasoning, and a tender but meaty texture due to the salt sealing in the moisture. 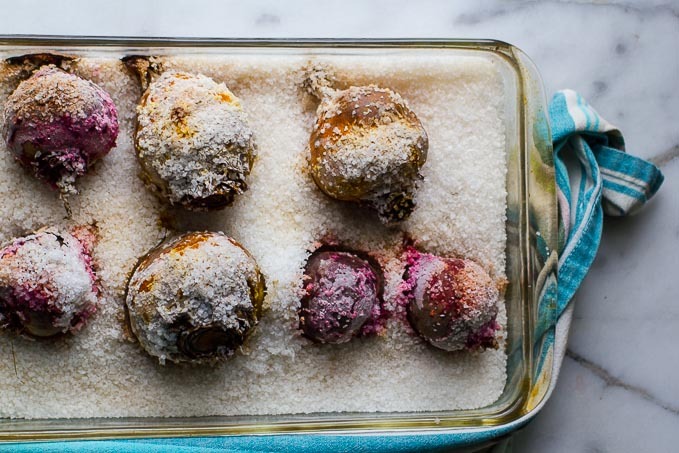 Also, beets can be cloyingly sweet and the salt roasting seemed to temper that. To serve them after cooking, I just brushed off and discarded the salt, then peeled back the skin. They are very easy to slice and are tender all the way through. It does seem like a lot of salt in the bin when you’re all through, but was definitely worth doing. 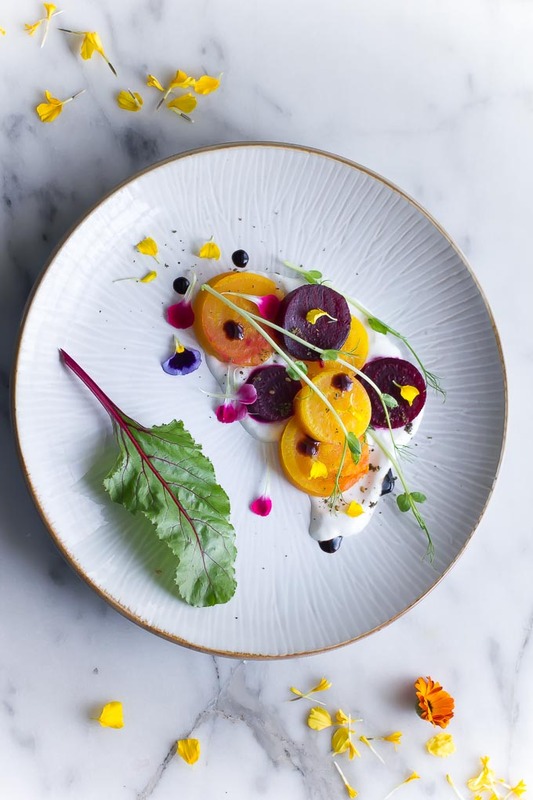 I enjoyed these beets all week on salads and even once in a curry! Since kosher salt is so cheap, I didn’t feel so bad. 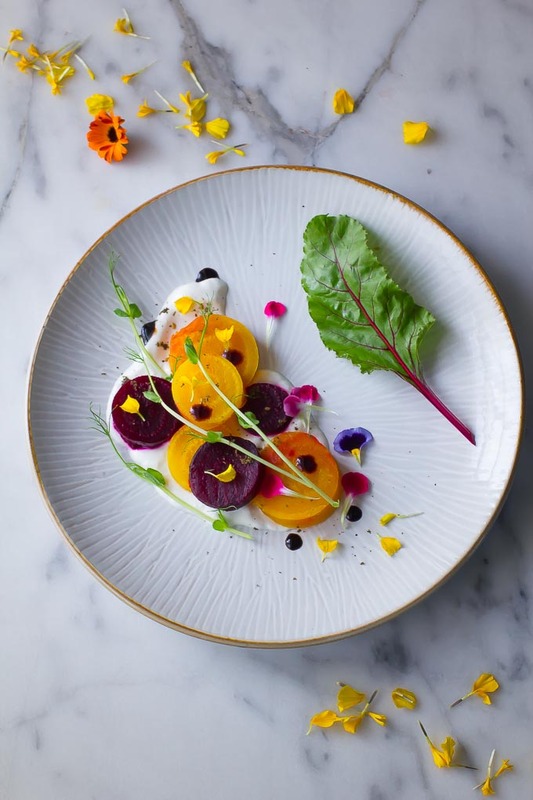 In addition, if you love beets, you might want to try my Beet Tartare or Beet Apple and Rhubarb Soup! Here’s the beets before salting! Nicely coated with kosher salt and simply placed on the bed of salt.